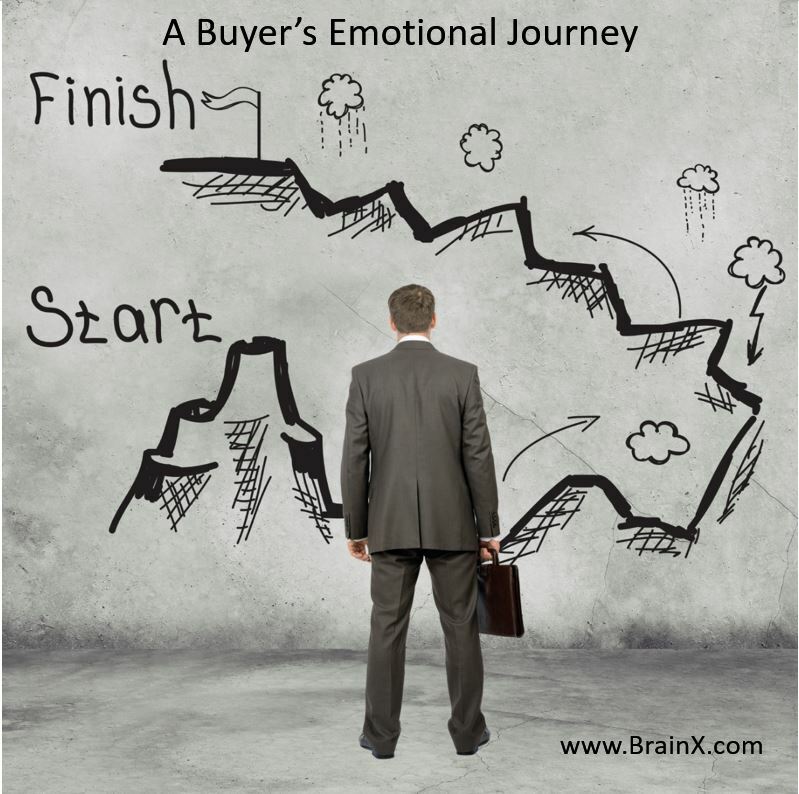 How to Use Your Customer’s Emotional Buying Journey to Build an Effective Sales Process! If customers used logic to make all their purchasing decisions, then designing an effective sales process would be a cinch. All your sales team would have to do is lay out the features and price and let the customer make the most logical decision. In reality, the field of sales is both dynamic and challenging because all decisions are based on emotions. That means that most existing sales processes that are based on how YOU want to sell, completely overlook the most important factors in closing deals. You must create an emotional journey that moves a prospect away from the status quo or a competitor and towards the right combination of emotions that produces a purchase decision. Ultimately, a sales process that is based on taking the customer on an emotional journey is radically different from traditional practices that have been largely discredited and found to be ineffective. An emotional journey based sales process goes beyond thinking you can control a sale by forcing the customer through the steps of a typical sales funnel (needs analysis, presentation, proposal etc.) Likewise, using the logical form of BANT (Budget, Authority, Need, and Timeline) turns out to be an ineffective predictor of sales when you don’t know the answers to the emotional BANT questions. Anyone can rattle off product features, benefits, and prices in hopes that the customer chooses their solution. It takes an effective sales process and a well-trained salesperson to create a set of visions that appeal directly to a customer’s emotional triggers. Visions that get the buyer or buying group so emotionally disturbed by their current situation, so worried about the pitfalls associated with purchasing from a competitor and so emotionally engaged with having your solution that they act without the salesperson ever having to ask a closing question. With the BrainX sales process development system you can create your own emotional journey based sales process and then use the BrainX personalized training system to ensure that each individual salesperson masters the knowledge and skills necessary to become a top performer. Click here to learn more about using your customer's emotional Journey to build an effective sales process!